One of the more traditional activities but still one of the favourites. Walking backward off a cliff is always guaranteed to get the blood pumping. Walking forward off a cliff is guaranteed to freeze it. 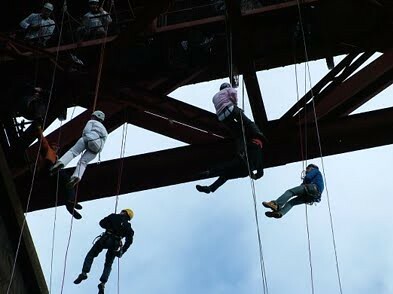 Our company specialize in different methods of abseiling including walking running jumping and forward rundowns.